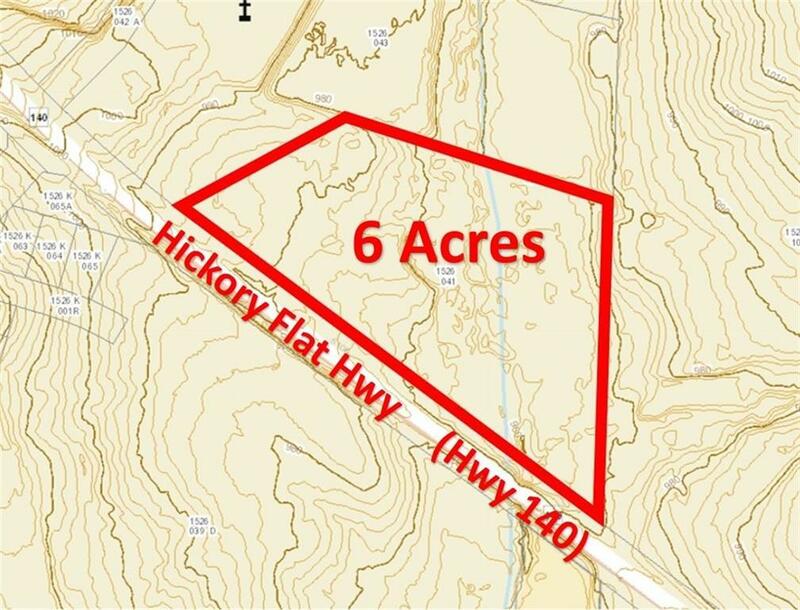 Potential Commercial 6 Acres in the Heart of Hickory Flat. 916' Road Frontage. 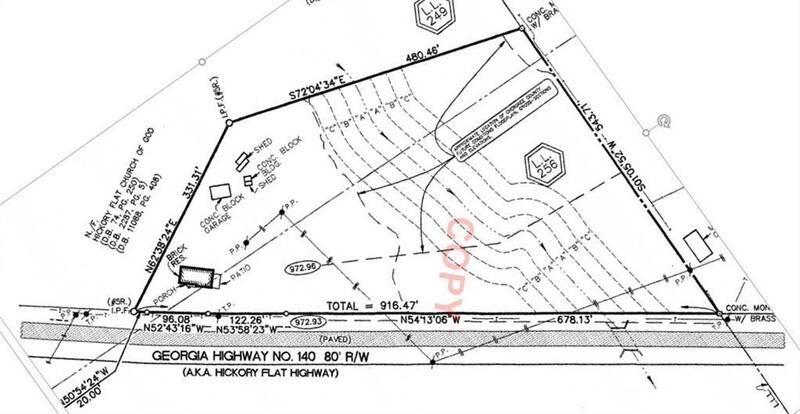 Cherokee County Future Land Use Map designates area as Community Village. Possible uses - Memory Care, Day Care, Church, Retail or Climatized Storage. Sewer is available. 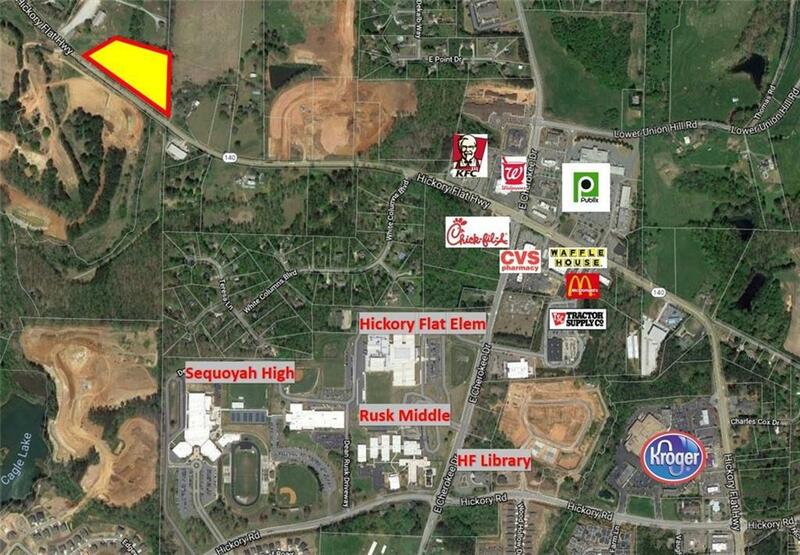 Only 1/2 mile to Hwy 140/E Cherokee Intersection. Latest GDOT Traffic Counts are 18K Cars per Day. Currently Zoned R-80. 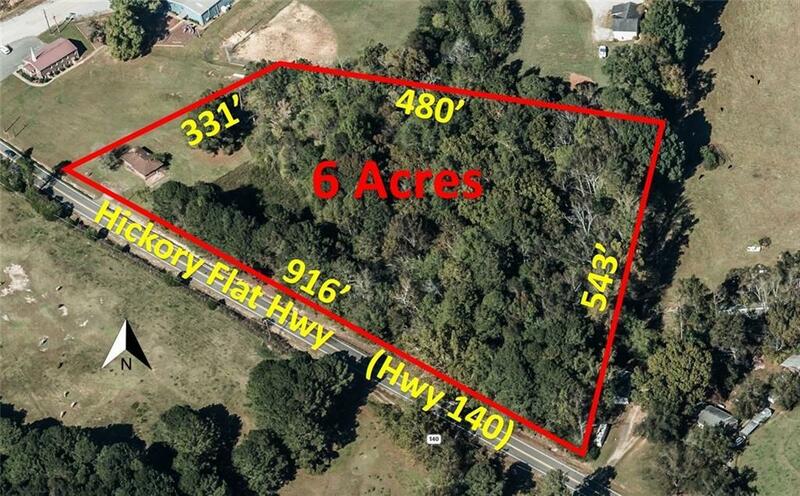 Listing provided courtesy of Northgate Realty Brokers, Llc..